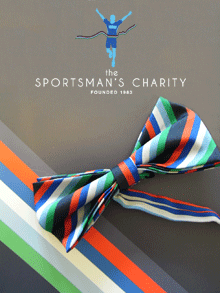 Founded in 1983 The Sportsman's Charity has a reputation for running first-class events and distributing funds to a wide range of primarily Scottish charities working in the fields of sport, children and young people, disability and the disadvantaged. Each year, the Charity identifies two partner organisations which will receive a significant proportion of the funds raised at The Sportsman's Dinner. In recent years the charities have included Combat Stress, the Trust Rugby International, My Name's Doddie Foundation, Ocean Youth Trust Teenage Cancer Trust and Edinburgh Community Food. In 2019, the two charities are Hearts and Balls and Beyond Boundaries. As well as supporting some of the larger established charities, The Sportsman's Charity takes a special interest in smaller organisations for which a modest donation can make all the difference. If you would like to support the Charity, have a look at our Supporters page, or get in touch with us through our Contact page.